Gary Morse built a golf course empire -- now it’s paving the way for autonomous vehicles. But The Villages — the fastest growing metro area in the United States 4 of the last 5 years — has another advantage over West Palm Beach: it’s privately owned. Now, the family that runs it is sitting shotgun for the ride to a self-driving future. Harold S. Schwartz amassed a small fortune in the ’60’s selling everything from mail-order cuckoo clocks to Florida real estate. 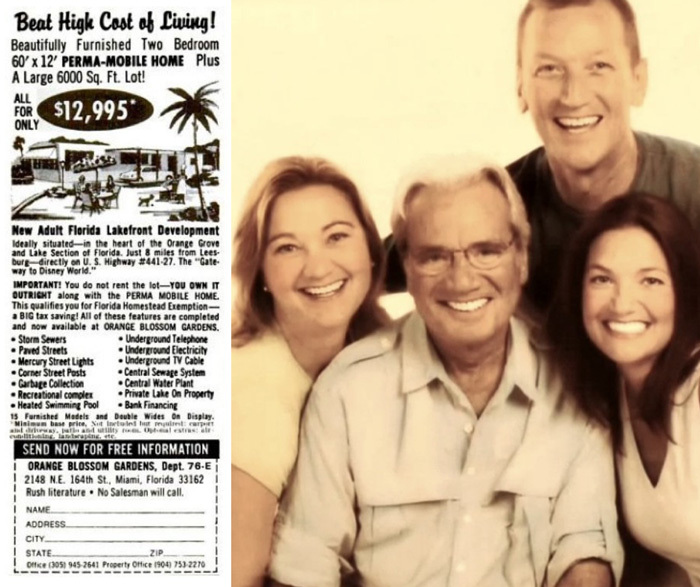 But, after the government cracked down on Schwartz’s mail-order money-making scheme, he was left stranded with a dilapidated Florida retirement community called Orange Blossom Gardens that he could no longer sell through the mail — so, he started to think about retirement. To transform the scraggly golf course, shuffleboard court, and few dozen mobile homes into a source of passive income, Schwartz convinced his real-estate developer son, Harold ‘Gary’ Morse (he took his stepfather’s name), to fix up the small community. Schwartz imagined a comfortable place to spend his golden years. But, his son had a much larger vision. Morse’s business model was a golf stroke of pure genius: he built golf courses at the center of each Village and made them entirely free. Then, he created a network of ultra-convenient golf cart paths to funnel the seniors straight from the course to his shopping centers — which were most certainly not free. By advertising the free golf, Morse attracted seniors like moths to a flame. But he was really selling convenience. Gary Morse made $40m annually in just 4 years by making sure that no Villager would ever be more than a 5-minute golf cart ride from buying a stiff cocktail at one of his restaurants. And the Morses were just getting started. Gary, his kids, and his grandkids have expanded The Villages from the 97 original Orange Blossom Gardens trailers to more than 60k homes. 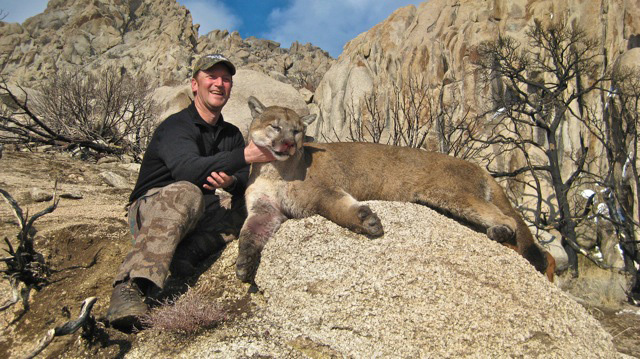 Today, Gary Morse’s 3 children — Mark, Tracy, and Jennifer — are all billionaires. Alongside several of their children, they are also all executives at The Villages. But the Morses don’t just sell houses: They sell everything. In The Villages, the Morses own the restaurants, the golf cart dealership, the newspaper, the banks, the real estate company, the construction company, the trash collection agency, the insurance company, the IT company, and now the self-driving cars. But, creating a completely self-regulated private city like The Villages wasn’t easy — and the Morse’s expanding real estate empire aroused the scrutiny of both local government and the IRS. In the early 2000s, Villagers accounted for 65% of Sumter County’s population — now, it’s likely higher. So by petitioning the county government to pass a ballot referendum allowing Village residents to vote for all of the county’s representatives, not just the local representative, the Morse family seized nearly absolute political control over The Villages in 2004. Shaking off the IRS, which accused The Villages of avoiding more than $426m in taxes municipal bonds in 2008, was more difficult. But to pull it off, the Morse family started making friends in high places. 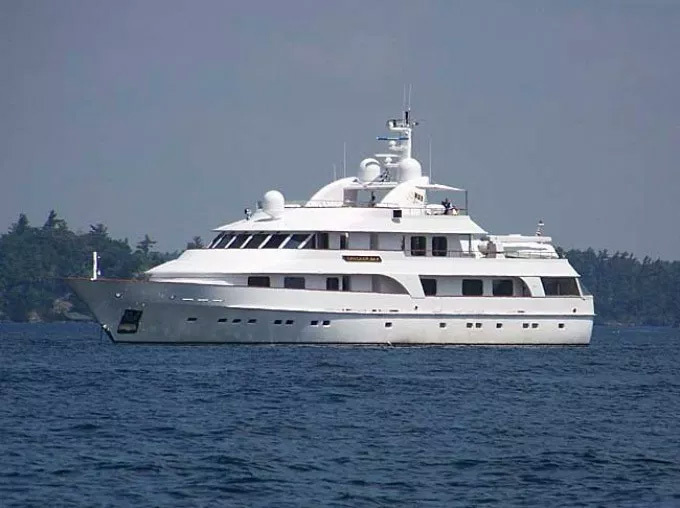 The family became a fixture in state politics, donating millions to Republican candidates in the red state of Florida, hosting a fundraiser for Mitt Romney on Gary Morse’s 147-foot long yacht, and counting governor Jeb Bush as a close family friend. With the Bush family at the Morses’ dinner table and the Romney family on their yacht, the IRS dropped its suit against The Villages in 2016 — without receiving a dime. The Florida politician who put the Morses in the driver’s seat of Florida’s lucrative autonomous car industry wasn’t Bush or Romney — it was Florida State Senator Jeff Brandes. After learning about Waymo, Google’s self-driving car project, Brandes convinced Google to send 2 self-driving cars to the Florida Capitol to take state lawmakers on a joyride and show them the economic potential of autonomous vehicles. The ploy worked: Florida became the first state in the country to pass a law allowing unrestricted self-driving car testing on public roads. Soon, self-driving startups were leaving Silicon Valley for the Sunshine State — and highly-manicured, tightly-controlled, retirement homes were the perfect testing grounds. Voyage ran its first self-driving tests in a tiny retirement community in San Jose with just 4k residents and 15 miles of roads, but it had bigger dreams — so, it reached out to The Villages. 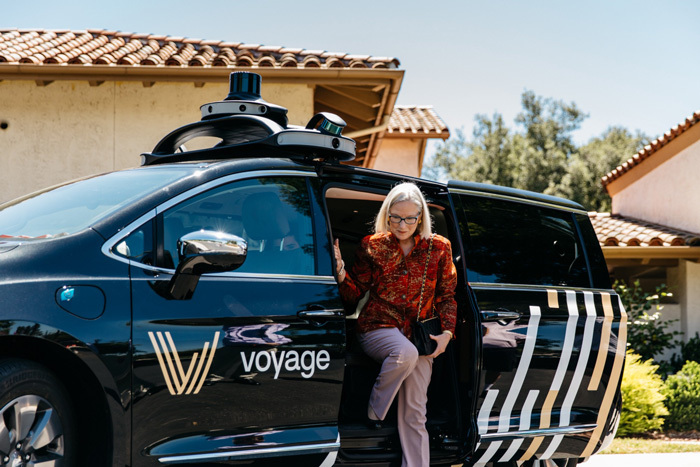 “We’re bringing a door-to-door self-driving taxi service to the 750 miles of road at The Villages,” Voyage CEO Oliver Cameron wrote in an announcement about the partnership in January. For an aging community like The Villages, self-driving cars offer an attractive mobility option — that also aligns with the Morse family’s vision of complete commercial convenience. “Villagers love their lifestyle and driverless technology offers a promising new option for staying mobile and active” announced Kelsea Morse Manly, the Director of Operations at The Villages (and Gary Morse’s granddaughter). And of course, thanks to a well-negotiated equity stake in Voyage, the Morses also own part of the self-driving company. 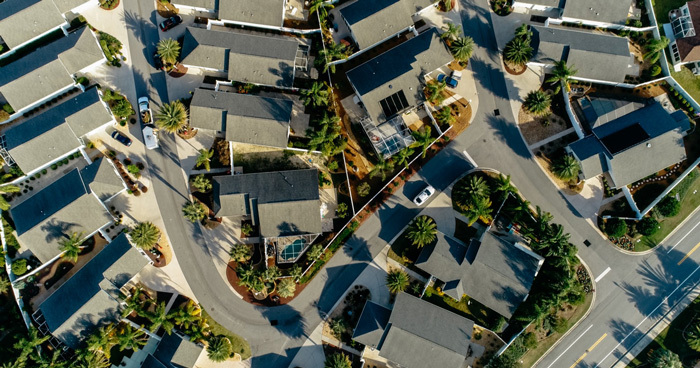 “Private communities like The Villages are often much simpler with respect to roadways and traffic patterns and allow us to implement creative, technical solutions that aren’t possible everywhere else due to regulation,” Voyage CTO Drew Gray told us. The Villages, a city full of 126k slow-moving retirees with $10.6B of buying power, was the ideal testing ground for a self-driving system. Previous self-driving tests either jumped into complex city roads and relied heavily on human intervention (like Waymo in Phoenix or Cruise in San Francisco), or rolled out along oversimplified routes (like Navya on the Vegas strip or May Mobility in pedestrian Detroit). But The Villages offered a way to do both at the same time. The sprawling retirement community had both simple streets and real demand: The perfect place for Voyage to refine its ‘Level 4 autonomous’ cars (fully autonomous but with human safety checks) to the elusive Level 5 self-driving car, which will finally retire the human driver. After refining its self-driving technology in the tightly-controlled Villages, Voyage plans to duplicate its self-driving systems in communities all across the country — ever-so-slightly reshaping America’s cities in the image of The Villages. Self-driving car companies like Voyage and Waymo promise a safer and easier way to get around. If self-driving cars can reach Level 5, they will undoubtedly make transportation safer by lowering the number of fatal car accidents. But, people in cities move around faster than people in retirement homes, and some urban policy experts doubt that self-driving cars will make transportation in cities more accessible. Daniel Piatkowski, a researcher with a PhD in Design and Planning, believes that building urban self-driving car networks would make cities pedestrian-friendly. In other words, giving cars full autonomy would take autonomy away from pedestrians. 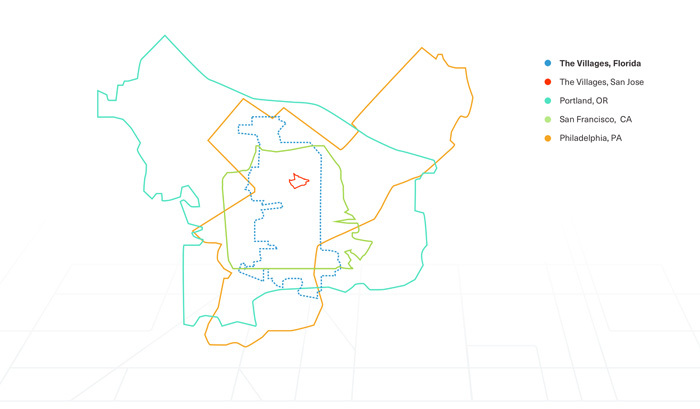 When ridesharing companies launched, they made a similar promise about reducing traffic. But research has shown that they actually worsened congestion. Early research suggests self-driving cars could have a similar impact — increasing urban traffic by more than 5%. The Voyage’s system goes live in The Villages later this month, and when it does, it intends to “connect every home to every point of interest in a community at the touch of a button” — a dream Gary Morse couldn’t have described any better himself. Self-driving cars still face a long and complicated road in normal cities — and their benefits are uncertain. But in The Villages, Voyage’s cars have no obstacles, and Villagers will reap their benefits — as will the Morses. monday.com perfects workplace productivity by getting boringLike Gantt chart boring. If you’re not familiar, Gantt charts are super convenient, crazy-helpful schedules that show a timeline of every project you’re on, complete with start and end dates, who’s doing what, etc. With monday.com, managers can customize workflows and track every project anytime, anywhere. It’s a team’s 10,000 ft. view from the sea-level comfort of a desk. Try monday.com absolutely free for 2-weeks. We promise you won’t be bored.